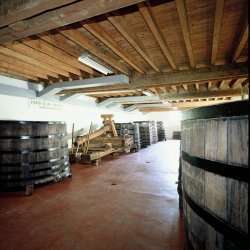 The vinification takes place in the very beautiful vathouse of Savigny-lèsBeaune, combining traditional methods with the most modern techniques. The white grape berries are pressed, a racking clarifies the musts before being put into barrels for a complete fermentation. The wines remain on the less and are stirred once a week; bottling is made generally after one year, eighteen months for the Corton Charlemagne. The reds are destemmed, vinified in open wood vats with punching twice a day in the purest Burgundy tradition.Temperature control maintains a maximum of aromas. After a light racking, the wines are matured during 18 months in oak barrels, partly new wood each year.